Happy eighth birthday to the Oliver + S blog! The Oliver + S blog has been around for exactly eight years this month! That’s a long time. In the past eight years there has been a ton of information on the blog. Have you visited the tutorials page recently? There you will find more than 100 free sewing tutorials, pattern customizations, and sewing tips. We are going to be grouping some of these tutorials together to highlight some things that go well together. We hope you like this new feature. Actually we already put one together recently called Twenty T-shirt Tutorials. So here we go with the next one…. If you are sewing a skirt, pants, or shorts for a child, it’s very likely there will be an elastic waistband. 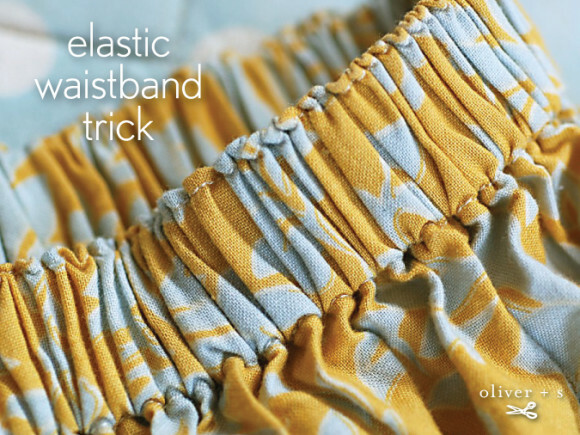 Here are three tutorials that offer tips and tricks for elastic waistbands. From 2009, so it’s an oldie, but goodie, this tip will help keep the elastic from twisting while it’s in the casing. It is a step that is included in the free Sunny Day Shorts pattern. 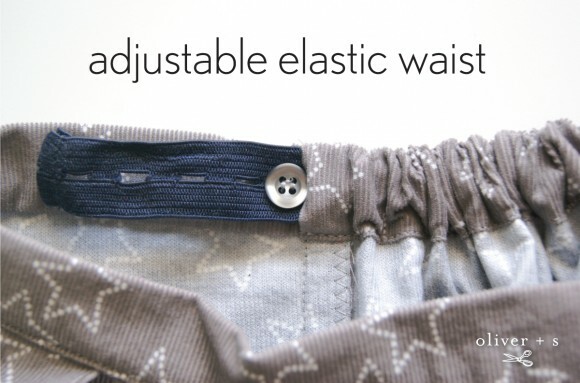 This is a little modification that can easily be done to several Oliver + S pants and skirts patterns to make the waist adjustable. 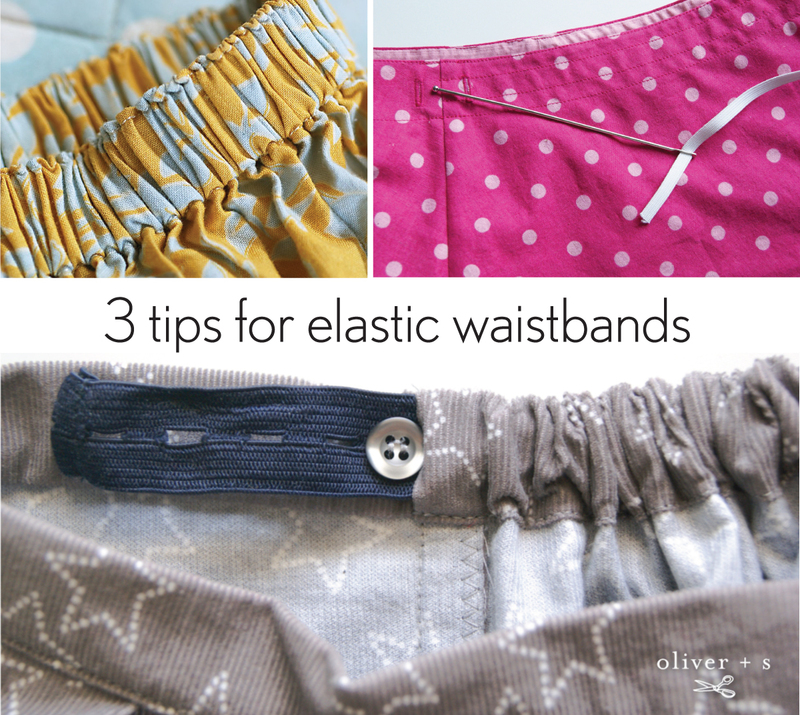 Three different tools are discussed that are helpful for inserting drawstrings and or elastic. 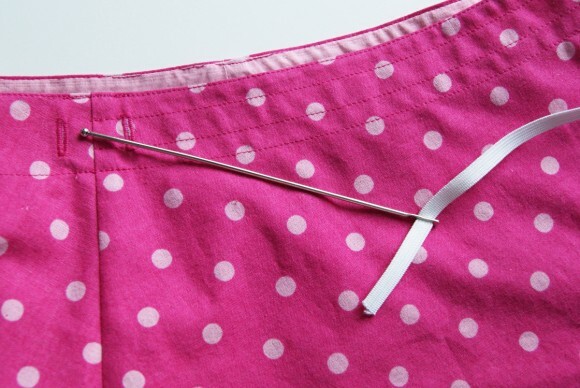 So there you go for today, just a few tips to make your sewing life easier.